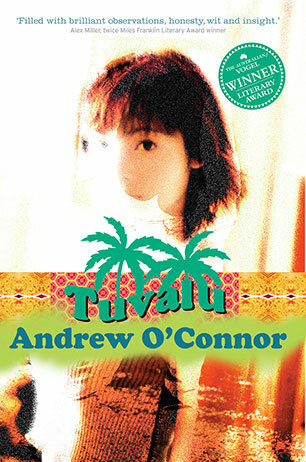 Winner of the Australian/Vogel's Literary Award 2005. A love story of sorts, Tuvalu tells the story of Noah Tuttle, who is glumly and aimlessly living a half kind of life in a cheap rundown hostel in the seamier margins of Tokyo, a place overrun with feral cats and cockroaches. He teaches mediocre English to disinterested students, sleeps with his girlfriend, Tilly, when she's around, drinks beer when he can afford it, and generally avoids other people and their expectations. Nothing much happens to him - until, that is, he meets the wealthy, captivating and completely self-absorbed Mami Kaketa, a supremely selfish creature who leaves people like so much litter in her wake, so brazen and capricious she should come with a health warning. A blackly funny, inconclusive and strangely beguiling story of ennui, escape, exile and dreams. Andrew O'Connor was born in 1978 in Warragul, Victoria. He studied Arts at Melbourne University before travelling and working in central and northern Australia. For the last four years, Andrew has divided his time between stints teaching English (ESL) in various regions of Japan, and writing in Australia.